In 1938, Hayden H. Dadd founded the law firm known today as Dadd, Nelson, Wilkinson & Wujcik. This past July, our firm lost a tremendous friend and colleague, with the passing Eric T. Dadd. Today the firm employs three attorneys and three legal assistants. Dadd, Nelson, Wilkinson & Wujcik’s reputation is built on ageless values including ethics, integrity and exemplary attention to client service. That reputation speaks for itself and is valued by clients and attorneys in other firms who use the depth, experience, and resources of Dadd, Nelson, Wilkinson & Wujcik to enhance their own service to clients. The business of Dadd, Nelson, Wilkinson & Wujcik is service. We are readily available to our clients, providing prompt communication, timely, efficient production of documents, and estimates of our fees on particular projects. 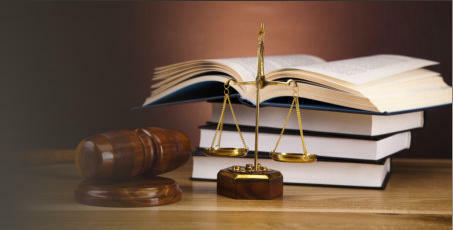 The firm is uniquely positioned to handle an extensive range of legal matters, venued in all State and Federal Courts. The firm's service orientation and strong community ties, combined with our emphasis on professional excellence and reliability, has enabled Dadd, Nelson, Wilkinson & Wujcik to expand its relationships with existing clients and attract many new clients in today's competitive legal environment. Dadd, Nelson, Wilkinson & Wujcik offers a unique advantage in terms of experience, capabilities, and value, ensuring the quality representation and counsel our clients expect and deserve. As a result, we are trusted advisors in all areas of our clients' business and personal lives. Our firm represents individuals, businesses and municipalities in Upstate and Western New York and in particular in Wyoming, Genesee, Monroe, Livingston and Erie Counties. At Dadd, Nelson, Wilkinson & Wujcik we are fortunate to have an experienced and knowledgeable staff of legal assistants that represents more than 73 years of combined experience with both the firm and the firm’s portfolio of long-term clients.